There are 400,000 young people in Scouting, spread across five age ranges: beaver scouts, cub scouts, scouts, explorer scouts and the scout network. Each age range has its own balanced program of activities, badges and awards. Our 100,000 adult volunteers deliver this. Beaver scouts are our youngest members. They usually meet weekly to take part in a wide range of activities including games, crafts, singing, visits and good turns, along with plenty of outdoor activities. They will also have the opportunity to take part in the fun and excitement of camps and sleepovers. It may be the first time they spend a night away from home so it’s a real adventure for them. A cub scout pack can have up to 36 cub scouts and is split into smaller groups called sixes. Cubs take part in a wide range of activities designed to be interesting and challenge them. A cub scout meeting consists of games and activities with plenty of time spent outdoors. Camps and holidays are some of the most memorable events of the year for cubs. Each scout troop consists of small units of six to eight scouts called a patrol, usually led by a patrol leader. Outdoor activities feature prominently in the scout troop, with the highlight being camping. Throughout the year, scouts learn various skills, such as map reading, camp cooking and first aid in preparation for camp. Rock climbing, potholing, gliding, sub photography and international experiences are just some of the things they get up to. Explorers are encouraged to lead themselves in deciding the programme and direction of the unit, with support and guidance from leaders. The section also includes the young leaders’ scheme, where young people are able to take on a leadership role in one of the younger sections. There is wider scope for activities like offshore sailing, campaigning, performing, parascending, mountaineering and expeditions. The scout network is a group who meet in a scout county or district and have an interest in both Scouting and their own personal development. They lead and organise their own activities. Members will become specialists in activities, take part in expeditions and major community projects and take part in schemes like the Queen’s scout and Duke of Edinburgh awards. Our team of adult leaders is made up of dedicated volunteers from all over the UK – they are the people who make Scouting happen near you. For most of the week they are business executives, engineers, plumbers, nurses, teachers, you name it, but the rest of the time they are the heart and soul of what we do. Looking after all the leaders of the sections, which make up a group, are our group scout leaders. They will manage and support the scout group and make sure it is running effectively. All the scout groups in your area will be part of a district. A district commissioner runs the district. 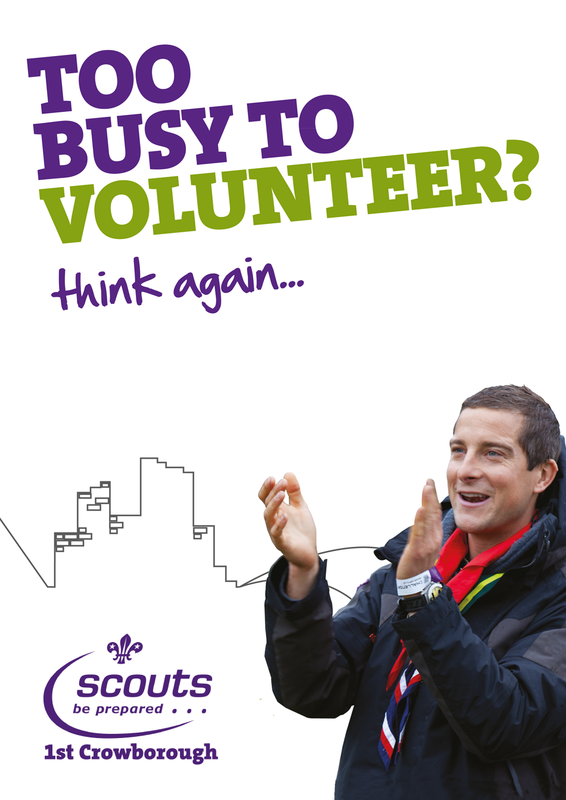 Your child will get the opportunity to take part in district events, and meet hundreds of new scouts. All over the UK, parents are helping out at their local scout group. Maybe you could come to a meeting to make tea, drive a group of young people to an activity event, or help out at a camp. Whatever it is, we are always glad to see you and you will enjoy yourself!